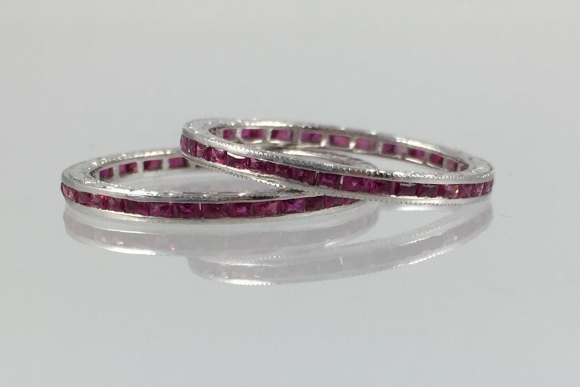 This lovely pair of Art Deco style platinum eternity bands are channel set with French cut natural rubies. Each band has a total weight of .50 carat. 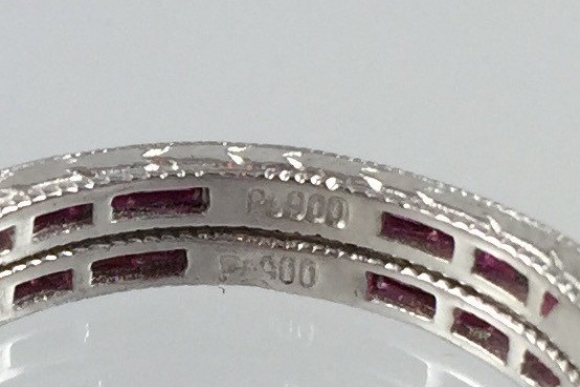 The sides of the bands have beautiful hand chased detail. The price is for the pair. To purchase individually please convo me. 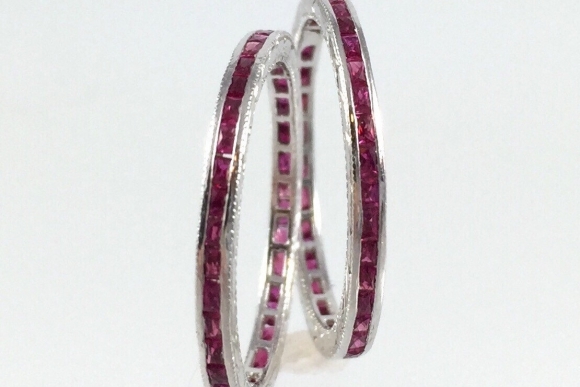 Each ring is a size 6 3/4. 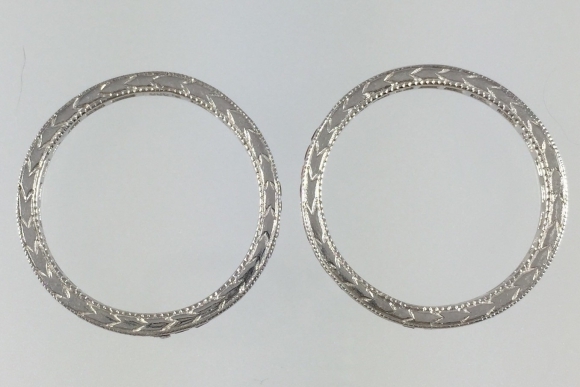 These bands are not sizable, make sure of your ring size before purchasing. Very good condition.